The howl of a 74-Z Speeder Bike racing past is not something that’s easily forgotten. 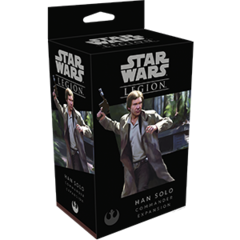 The Empire commonly uses these speeder bikes for scouting and reconnaissance missions, but they can also be deployed to terrifying effect on the battlefield, where their sheer speed often prevents the enemy from taking a clean shot. 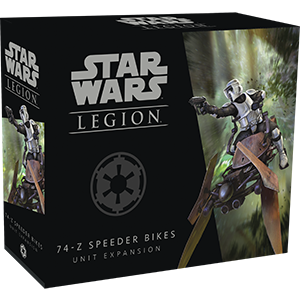 The 74-Z Speeder Bikes Unit Expansion includes a unit of two 74-Z Speeder Bikes, and all the unit cards and upgrade cards you need to expand your forces with these lightning-fast speeders.